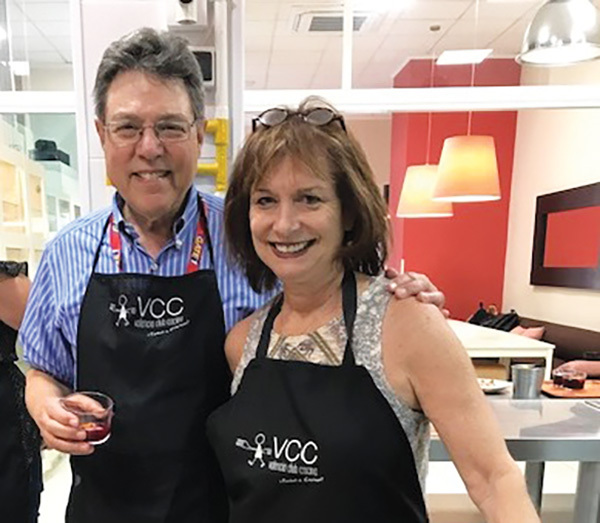 Eddie and Diane Knopf in Valencia, Spain in 2017, where they learned to cook paella, a dish that locals claim was invented in Valencia. MARBLEHEAD – Every year since 1987, the Friends of the Hillel Library have recognized members of the community for their commitment to learning and the pursuit of knowledge by presenting them with The Edith Bloch Award. This year’s recipients, Swampscott residents Diane and Eddie Knopf, will be honored at “Food: The Ultimate Connector,” a celebratory event to be held on Sunday, May 19 at 6 p.m. at the Epstein Hillel School in Marblehead. 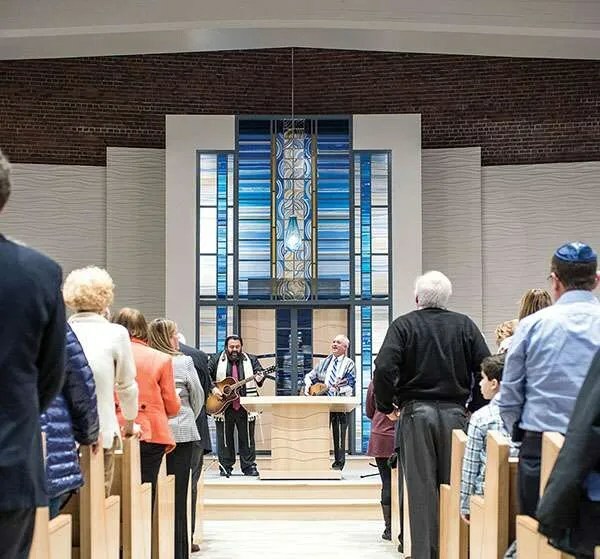 “All of us who have had the opportunity to work alongside Diane and Eddie Knopf have seen first hand that their dedication to the North Shore Jewish community literally knows no bounds,” chairs Maura and Paul Copeland said in a press release. Edith Bloch was a founding member of the Friends of the Hillel Library and was renown as a consummate teacher and committed mentor. The Knopfs have made an impact on their community in many areas. For 11 years, Diane was Director of Community Engagement at Epstein Hillel and has volunteered in a number of positions, including as president of the JCC of the North Shore and chair of the JCC’s Jewish Book Month Speaker series. 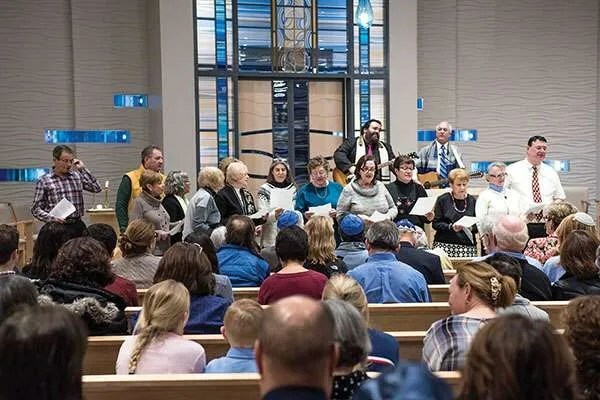 Eddie served on the Temple Beth El-Temple Israel merger committee and on the executive board at Congregation Shirat Hayam, where he is a regular at morning minyan. Both earned MBAs, Diane from Northeastern University and Eddie from Boston University, and met at a Christmas Eve party in 1987. “I had a broken ankle and was in a cast, and he had a horrible cold,” Diane recalled with a laugh. They married the following Thanksgiving, and Diane moved from Brookline to Swampscott, where Eddie had been living since 1978. Their daughter Elyse graduated from (then) Cohen Hillel Academy in 2004 and went on to Washington University in St. Louis. To the Knopfs, libraries and education are synonymous and have long been part of their lives as students and adults. Diane and her mother, a 2nd grade teacher, established the Miller/Knopf Resource Library at Simmons University, both their alma maters. “Libraries matter to us,” she said. 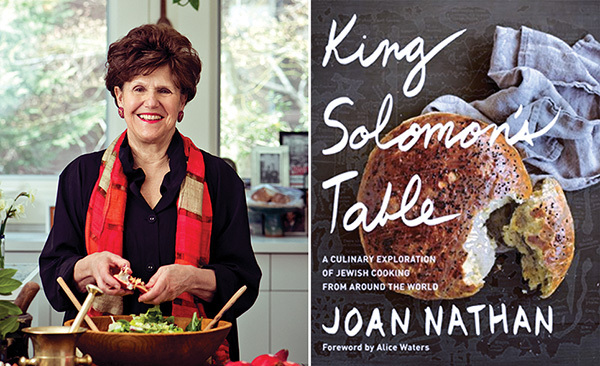 Cooking, entertaining and travel matter to them too, and choosing Joan Nathan as the evening’s speaker reflects that. The award-winning cookbook author, PBS television host and newspaper and magazine contributor has won the James Beard Award twice, co-founded New York’s Ninth Avenue Food Festival under then-Mayor Abraham Beame, and received an honorary doctorate from the Spertus Institute of Jewish Culture in Chicago. Born in Providence, Rhode Island, she is the mother of three grown children and lives in Washington, D.C. and Martha’s Vineyard with her husband, Allan Gerson. Nathan will speak about her culinary exploration of Jewish cooking from around the world and sign copies of her latest cookbook, “King Solomon’s Table,” after a light dinner reception featuring recipes from the book. The event is open to the community and is free of charge, although registration is necessary. Diane readily admits Eddie is the cook in the family. “He first got involved watching his mom and aunt cook,” she said. His favorite dishes to cook are chili, chopped liver, and turkey and stuffing for a big crowd. Diane’s favorite dishes to eat are “all of the above” plus Eddie’s locally famous popovers. They love entertaining and bringing people together for an evening of food and camaraderie and share the responsibilities seamlessly. Eddie handles the majority of cooking and cleaning up and Diane organizes, decorates and plans the menu, which often features ethnic foods. “I am a very experimental eater, perhaps because my mom instilled in me a love of traveling the world,” Diane explained. The Knopfs are in awe of Nathan’s accomplishments and couldn’t be more thrilled that she is the featured speaker at their honorary celebration. They share her beliefs that food has the power to unite people, especially during challenging times. Born in Tiverton, R.I., Diane’s link is also personal. “Before all the current famous Israeli/Jewish chefs, there was Joan from Providence, the leading expert in Jewish cooking who embraced and promoted Jewish cooking in America,” she said with just a hint of her native Rhode Island accent. 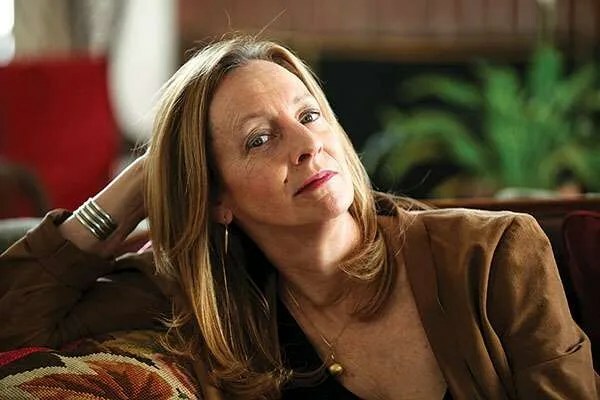 Jamie Bernstein will speak about her famous father at Temple Emanu-El in Marblehead. Leonard Bernstein, whose global 100th birthday celebration has invigorated his reputation as one of the great musicians of modern times, was best known as a composer, conductor, pianist, teacher, and humanitarian. 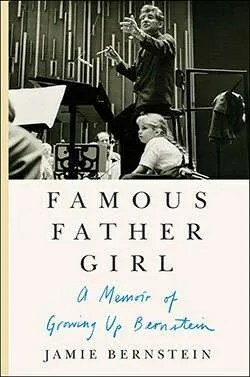 With the publication of her memoir, “Famous Father Girl: A Memoir of Growing Up Bernstein,” oldest daughter Jamie Bernstein shifts the spotlight to his least examined – but to her – most important role: that of father. Jamie, a writer, broadcaster, filmmaker, and concert narrator, paints a detailed portrait of a complicated and sometimes troubled man, plumbing the emotional complexities of her childhood and inviting the reader into her family’s private world of celebrity, culture, and occasional turmoil. North Shore Leonard Bernstein fans will have a chance to hear Jamie speak about her book and answer questions at 7 p.m. on Sunday, April 7, at the newly renovated Temple Emanu-El, 393 Atlantic Ave. in Marblehead. In addition, there will be a screening of the documentary, “Leonard Bernstein, Larger Than Life,” followed by a dessert reception. The event is co-sponsored by the Jewish Community Center North Shore Jewish Book Month and International Film Festival committees. In her 400-page memoir, chockfull of spicy details and intimate family pictures, Jamie paints an eyewitness portrait of the 1960s and 1970s she lived. “I grew up in amazing times. They were turbulent and shifting. It was a particularly intense time to be a young woman,” she said. She also dishes about the extraordinary circle of characters that populated the Bernsteins’ lives, including: the Kennedys, Mike Nichols, John Lennon, Richard Avedon, Stephen Sondheim, Jerome Robbins, and Lauren Bacall. Her two siblings, Nina Bernstein Simmons and Alexander Bernstein, also have been involved in preserving their father’s legacy. Jamie showed them every draft of her memoir. “All along, I told them that they had complete veto power. They were amazingly supportive; I don’t think they ever asked me to take anything out,” she said. Their mother, Chilean pianist and actress Felicia Montealegre, raised her three children to be bilingual, which serves Jamie well when she narrates concerts in Spanish in locations such as Madrid and Caracas. “Our mother was not only beautiful, elegant, and talented, she was also the stabilizing force for our family in general and [for] our dad in particular,” she said. While on her book promotion tour (“a considerable amount of schlep”), she has talked to many people who experienced her father’s mystique, either through concerts at Tanglewood and the New York Philharmonic or through recordings, TV, and Broadway productions. 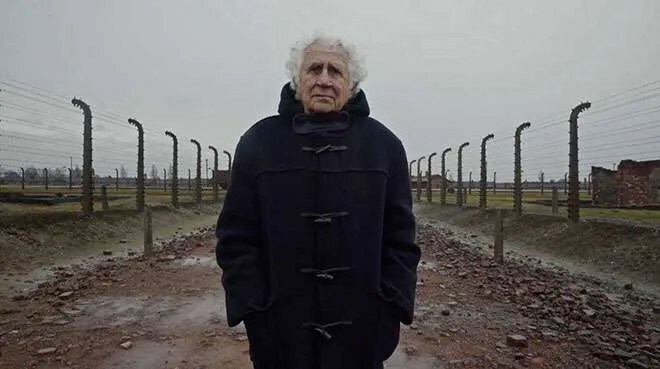 “It has been incredibly touching. The attendees are curious and attentive and quite emotional. And so many of them have stories!” she said. Izzi Abrams, president of the JCC in Marblehead, is among those with stories. Her family had an indirect relationship with the Bernsteins through her uncle, Rabbi Israel Kazis of Congregation Mishkan Tefila in Brookline, where the Bernsteins were members when Leonard was a boy. Abrams also taught a course on Bernstein last fall and winter. 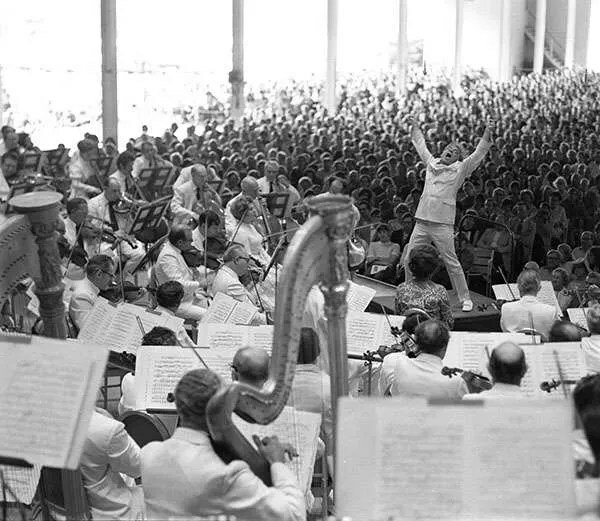 “I’ve been excited ever since I heard a couple of summers ago that Tanglewood was going to celebrate Bernstein’s 100th birthday in 2018,” she said. With over 5,000 events worldwide, Jamie acknowledges that her book is just a small piece of the LB Centennial celebration that she and her siblings hope will remind those who lived in their father’s era of the enormous legacy he left behind. “We also hope that young people will discover Leonard Bernstein, and be excited to know more about him, his music, and his music-making,” she said. For information or to buy tickets to the April 7 event, visit jccns.org or call 781-631-8330. On Thursday, March 21, Dr. Mercedes Balcells-Camp’s colleagues will recognize what they describe as her extraordinary contribution when she receives the MIT Excellence Award for Advancing Inclusion and Global Perspectives. SWAMPSCOTT — As the oldest of six children growing up in an apartment in bustling Barcelona, Spain, Dr. Mercedes Balcells-Camps shared a room with her three sisters and took public transportation or walked to school. From grades 1 through 12, she attended La Vall School, a girls-only charter school that met from 9am to 5pm and required students to wear a brown uniform. On the first day of seventh grade, Dr. Balcells-Camps’ life changed forever when her science teacher, Mrs. Ustariz, told the class that their textbooks were only the tip of the iceberg and that there were more things waiting to be discovered than were written in those books. “I became a scientist that day. I wanted to discover the unknown in nature,” she said from the Swampscott home she shares with her husband and two daughters. And become a scientist she did, earning a BS in chemical engineering, an MS in organic chemistry and a Ph.D. in macromolecular chemistry before moving to the US for a post-doctoral fellowship at MIT. “I was supposed to be in Cambridge for three years and then return to Spain,” she said. Instead, she became good friends with a colleague who introduced her to both her husband and to Swampscott. Today, some two decades later, Dr. Balcells-Camps is Principal Research Scientist at MIT’s IMES (Institute for Medical Engineering & Science), a hub that brings together the community of students, postdoctoral fellows and faculty who work at the convergence of engineering, science and translational medicine. Through dual appointments at MIT and her alma mater, Institut Quimic de Sarrià in Barcelona, she has promoted innovative research and educational exchanges between both institutions and countries. As a result of this collaboration, she created the International MIT-Spain Program and co-founded the Spanish start-up Regenear. She also chairs the MIT IDEA2 Global program, which provides mentoring and connections to biomedical innovators around the world to develop and realize their project ideas. “Science doesn’t work in isolation. It requires multidisciplinary and international approaches,” she noted. On Thursday, March 21, Dr. Balcells-Camps’ colleagues will recognize her extraordinary contribution when she receives the MIT Excellence Award for Advancing Inclusion and Global Perspectives. The award is presented in six categories and represents the highest honor presented to MIT staff. Since the day she found out she won the award, Dr. Balcells-Camps has been thanking her family, extended family and collaborators inside and outside the US. “You cannot build a bridge if you don’t have help in each side,” she said. Professionally, she hopes to harness the visibility of the award to continue growing programs to tackle global health problems through culturally sensitive patient-centric approaches. “What works here in the US may not work in a rural place like Latin America,” she explained. Dr. Mercedes Balcells-Camps, far left, and her daughters Swampscott High School freshman Isabel and Swampscott seventh grader Sofia. 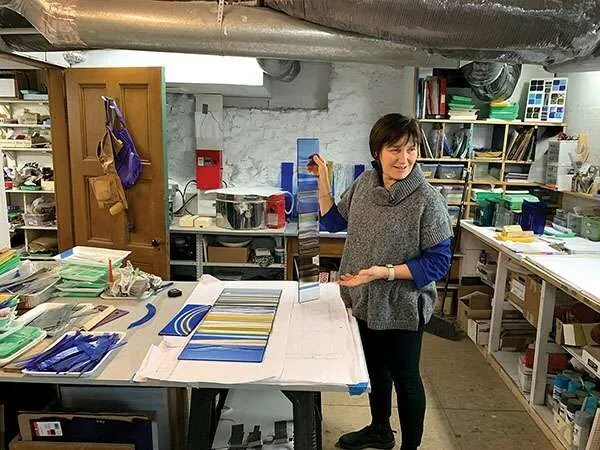 She credits her daughters, Isabel and Sofia, with the resiliency and sense of humor to embrace their mom’s work, which has had them cross the Atlantic over 50 times and host hundreds of exchanges students and faculty. “I’m glad I make them proud because there have been sacrifices along the way,” she said. While the excellent public schools, proximity to family and ocean views lured her to Swampscott, the more serious opportunity to fight disease and discover new tools that physicians could use to solve unmet clinical needs is what brought her to MIT. “MIT is the paradise of science, engineering and innovation and full of extremely motivated students and faculty. Early in my career, it became a dream of mine to come here,” she said. Working with physicians and clinicians and industry partners to accelerate the path of new technologies, Dr. Balcells-Camps’ work has focused on building artificial organs and tissues made of biodegradable materials and human cells from donors. “I hope that in the future, in the same fashion we replace a tire on our car, we can replace the diseased artery when we have a stroke because of a blocked artery,” she said. Currently, her research focus is development of a new model to understand the blood-brain barrier. This work is important for treatments of brain disorders, certain diseases (ALS, Alzheimer’s and MS) and drug abuse, such as opioid addiction. Remembering the importance of her seventh grade teacher’s encouraging words, she offers this advice to young people thinking about pursuing a career in science. Aveen Forman was drawn to more than Marist College’s bucolic Hudson Valley campus when she decided to apply for early action to the Poughkeepsie, N.Y. school. What piqued her interest about the school was 3,140 miles away in Dublin, Ireland, where she will spend her first year as a member of the Marist College Freshman Dublin Experience. For Maddy Foutes, one visit to Northwestern University was all it took to convince her it was the perfect fit for her. “The lakefront campus is stunning, with incredible access to Chicago. And Northwestern’s quarter system allows students to pursue several areas of academic interest at once,” she said. She returned home, applied early decision and was accepted. “I couldn’t be more excited!” she added. Architecture is Kyle Lenihan’s passion and intended major, and the Syracuse, N.Y. native decided to return to his birthplace to pursue his interest in his “old stomping grounds. The Syracuse University School of Architecture gave a sense of challenge and prestige that no other school had. It consistently ranks among the best in the country for undergraduate architecture,” he said. His early decision application was accepted, based in part on a portfolio of artistic works he was required to submit. “I would not have been accepted to this program if it were not for the art program at SHS,” he added. Early decision plans are binding — a student who is accepted as an ED applicant must attend the college. Early action plans are nonbinding — students receive an early response to their application but do not have to commit to the college until the normal reply date of May 1.
systems used to submit recommendations and school forms]. “During these boot camps, we do a lot of hand holding and walk the students through each step of the process one on one. It has been a great opportunity for us to be with the students and really understand where they are at,” she said, noting that the 14 before school, after school and evening sessions all attracted robust attendance. Yelena Jefferies, who will attend Boston University where she plans to study sociology, is thankful for the guidance she received in filling out her college applications. She strongly believes the opportunity SHS students have to take Advanced Placement and Honors classes is of equal importance in preparing them for college. “I was able to build skills that I know will be useful in a college classroom setting,” she said. She equally praises her non-AP class experiences with preparing her to be more confident in the kind of discussion-based classes she expects in college. “One major example is Mr. Reid’s Media Lit classes, which has helped me articulate critical thinking skills in class discussions and improved my informal writing skills,” she added. In 2018, one-third of eligible students (Grades 10-12) took at least one AP level course. Every student enrolled in an AP class must take the AP test. 162 students took 372 tests in 19 subjects and 80% of them scored 3 or better. Many colleges award college credit for AP scores of 3 or higher, saving students (and their parents) tuition expenses and permitting them to skip introductory level classes their freshman year. While academics are arguably the most important prong to a student’s portfolio, Zotto-Barnum stresses that SHS values and supports students’ non-traditional choices, too. She has noticed an increase in students electing to take a GAP year between graduating from high school and entering college. One student chose a Semester at Sea; another will teach skiing in Japan. “We’re all about the path,” Zotto-Barnum said, referencing the SHS Guidance Department’s philosophy — Embrace your path, make your own pace! “While not all students choose the same path, everyone does have a place. It’s important for parents and students to hear this message,” she said. Other students who have received early acceptances include: Diego Lucruz (Suffolk U. in Madrid, Spain); Isaac Green (George Washington U. ); Ivan Kadurov (Pratt Inst. and Wentworth Inst. of Tech. ); Harry Katz (Stanford U. ); Molly Delaney (Emerson, Keene State, Salem State, Suffolk and Whitworth U. ); Grace DiGrande (Bucknell U. ); Sara Hamada (St. Michael’s College, UMass, BU and Stetson U. ); Isaac Dreeben (Oberlin College) and Chloe Howe (Bowdoin College). Some student-athletes who have been accepted to college plan to continue their athletic careers. These include: Sarah Ryan (field hockey at Vassar College); Nikki Rosa (basketball at Roger Williams U. ); Ryan Graciale (baseball at Salve Regina U. ); Hannah Amato (field hockey at Salve Regina U. ), and Tim Perlin (lacrosse at Franklin Pierce U. ).